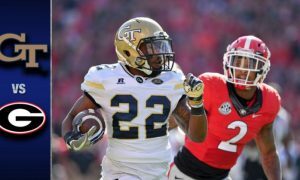 Georgia Tech (7-4) beat Virginia (2-9) 31-17 on Saturday. 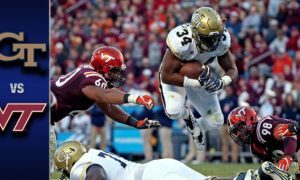 The Yellow Jackets were led by running back Marcus Marshall who ran for 127 yards and a touchdown on 16 carries. Qua Searcy added 65 yards and a touchdown on three carries. Quarterback Justin Thomas completed 5-of-his-10 attempts for 122 yards and a touchdown, he also fumbled the ball three times, but his team recovered all three fumbles. Receiver Clinton Lynch caught three passes for 85 yards and a touchdown. 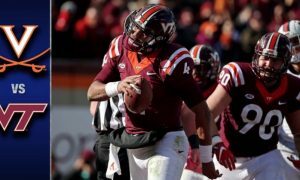 Both Georgia Tech and Virginia are on the road next week, with the Yellow Jackets taking on Georgia and the Cavaliers playing rival Virginia Tech.